Before using SilkBalance for the first time, you should purge the plumbing system underneath to clean away the organic deposits in your plumbing lines from previous use. This concentrated liquid formula is specially blended to work with water of all hardness levels and is designed to deep clean the spa pipes, jets and plumbing equipment. 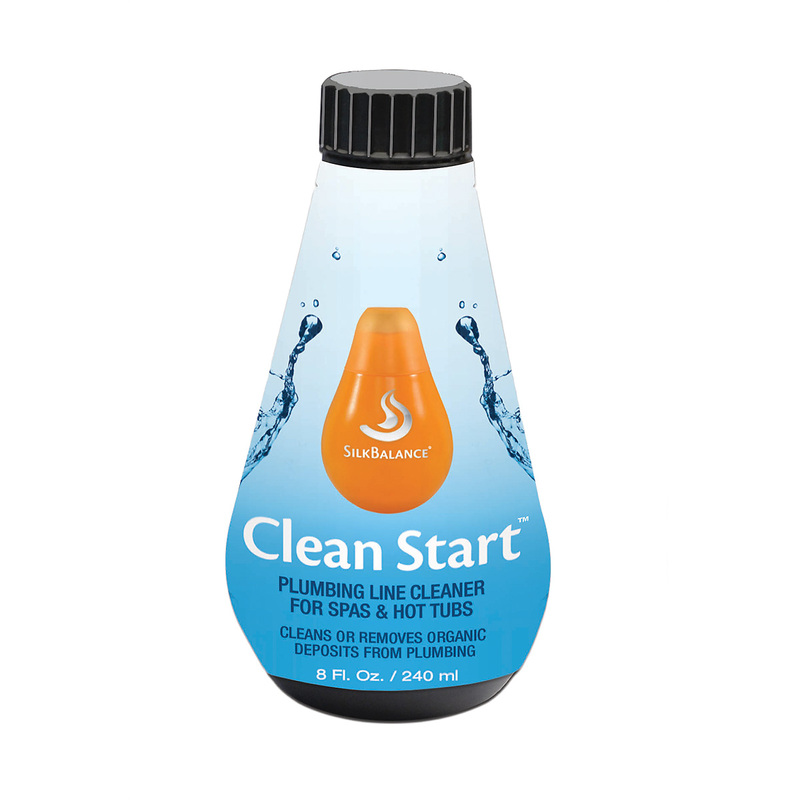 CLEAN START PREPARES YOUR TUB for luxuriously simple spa experiences in just hours, not days. With the jets on high, Clean Start will flush your hot tub in 30 minutes. You can drain and refill your spa and not have to worry about lingering, foaming residue. Since there is no need for overnight soaking or multiple flushes, this process prepares your tub for luxuriously simple spa experiences in hours, not days. At the end of the process, your spa is left with a fresh, clean scent. In addition to purging old spa water before starting the SilkBalance conditioning system, we highly recommend using Clean Start to flush the plumbing once a year. (Just remember to remove all filters along with any other ancillary items such as salt water cells, mineral cartridges, in-line sanitizers, etc. before using Clean Start).